If you are looking to move office space, we’re the removals team for you. 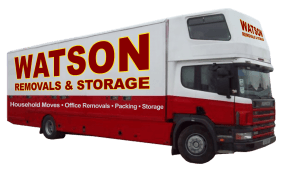 At Watson Removals & Storage, we provide a stellar office relocation service throughout Brighton, Hove and beyond. Whatever you need, and wherever you’re headed, we’re here to help. Our removals service is spoken about as being one of the best in the area, and it’s for good reason. We pride ourselves on our great reputation, which we have built over many years. Time and time again, customers come back to us because they have been impressed with our competitive quotes, high-quality customer support, and efficient office removals in Brighton. From packing to relocation, storage solutions to removals, we can help you with everything required in order to move your office from A to B. It doesn’t matter how big or small your space is, we can help you efficiently and effectively transfer spaces without hassle or stress. We can help you keep your business operating smoothly without any hiccups. In many cases, office staff won’t even notice a difference – aside from the actual room they’re in – because we’ll have everything looking exactly as it did before. You can rest assured that there won’t be any unnecessary delays. We pride ourselves on offering competitive prices that rival other removals and storage companies in the area. 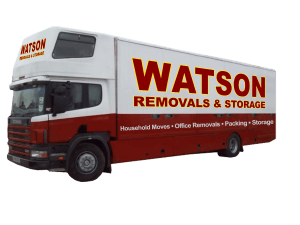 With Watson Removals & Storage, you will get a free no-obligation quote upon first speaking with us, which will give you a great indication of how we can help you. There are numerous ways in which we can then go on to support you, whether this is through packing and shipping, or storage solutions and removals. We’re a one-stop shop for everything you can need when moving offices. One of the great things about Watson Removals Brighton is the fact we’re a family-run removals company. This means we are small enough to care but big enough to ensure we are always delivering on our promises. We guarantee you friendly and professional customer service, which means you will always have someone on the end of the phone to speak with if there is a problem. Get in touch with our team now to get your no-obligation free quote and start discussing your office removals Brighton. We’ll get you on the road in next to no time, fulfilling your time-scale and budget where possible.